Love technology? Want to pass that passion on? 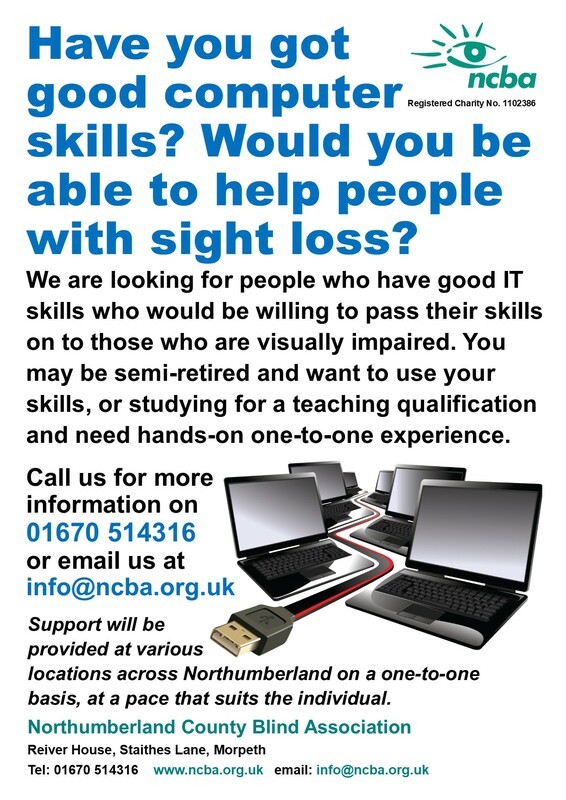 We are looking for people who love technology, whether computers, smartphones or tablets, and would be happy to pass that knowledge on to visually impaired people. Sessions would be informal and at a pace suited to the user. Please get in touch if you think this could be you!